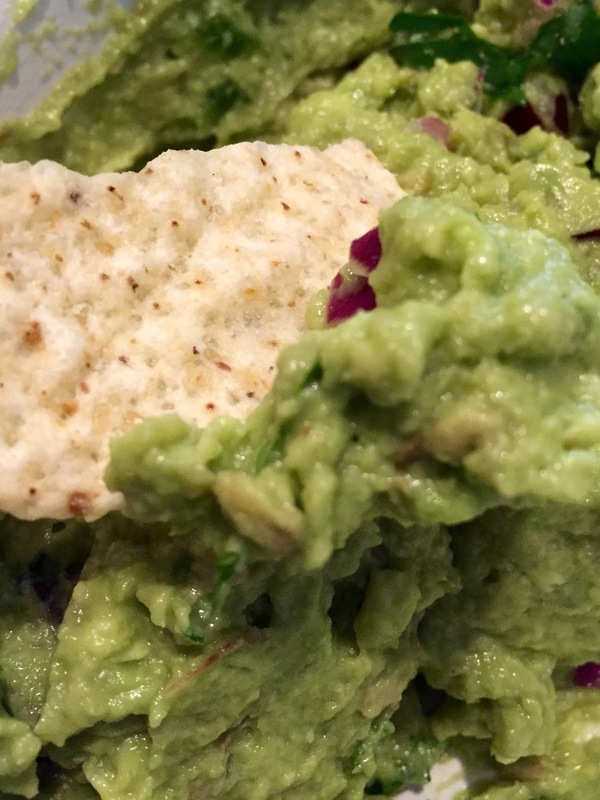 Confession: it has only been within the last year in which I’ve learned I like guacamole. Always when ordering Mexican, it has been “Sin crema y no guacamole, por favor.” Sometime last summer, Chris had a craving for it, bought some avocadoes, a packet of seasoning mix and mixed it all up. It smelled so good that I tentatively dipped, just barely, a bit of a chip into it. And I was sold. The seasoning mix we buy is a spicy mix, but the other day, we were out and the avocadoes were already halved and ready to go so I mixed in the following. In a small bowl, mash together the avocadoes and mix in the above ingredients. This entry was posted in Appetizers, Sides, Vegetarian. Bookmark the permalink.